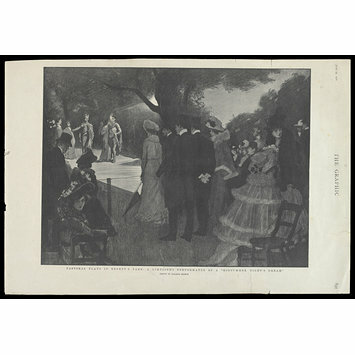 A print of a drawing by Balliol Salmon depicting a 'Limelight' performace of A Midsummer Night's Dream, a pastoral play held in Regent's Park. Published in The Graphic. 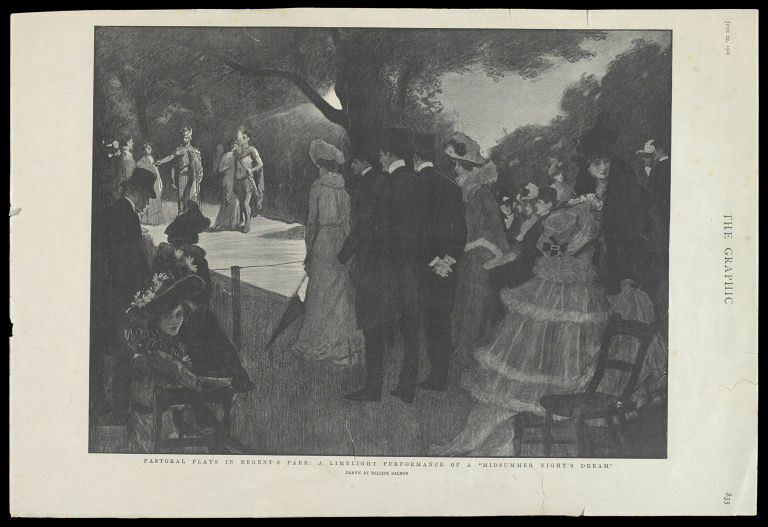 Print depicting a 'Limelight' performace of A Midsummer Night's Dream, a pastoral play held in Regent's Park. Copy of a drawing reprinted in The Graphic. Printed text articles and images are partially visible on the prints reverse. Print depicting a 'Limelight' performace of A Midsummer Night's Dream, a pastoral play held in Regent's Park. Published in The Graphic on 22nd June 1901, Harry Beard Collection.